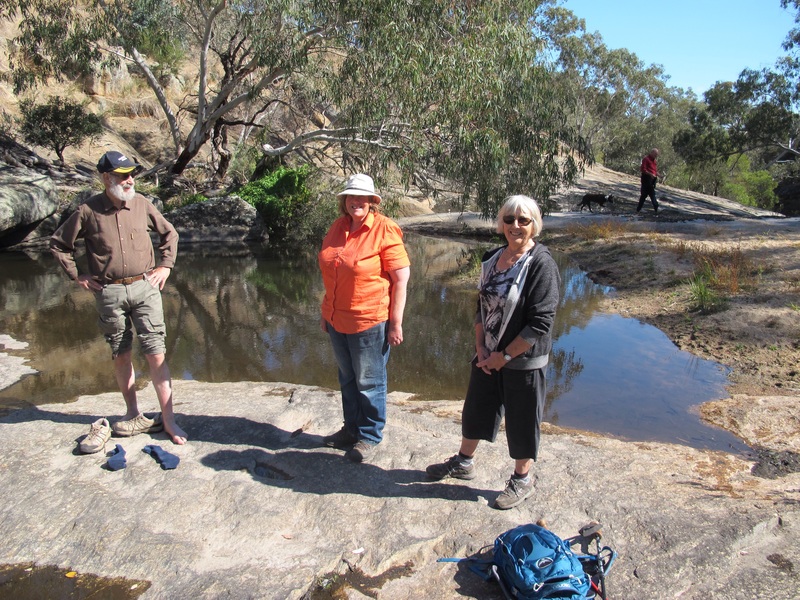 The granite creeks of the Strathbogie Ranges are the focus of a new Goulburn Broken CMA river health project .The Hughes Creek winds through remote and rugged country reminiscent of outback central Australia as it drops from Ruffy to Tarcombe. 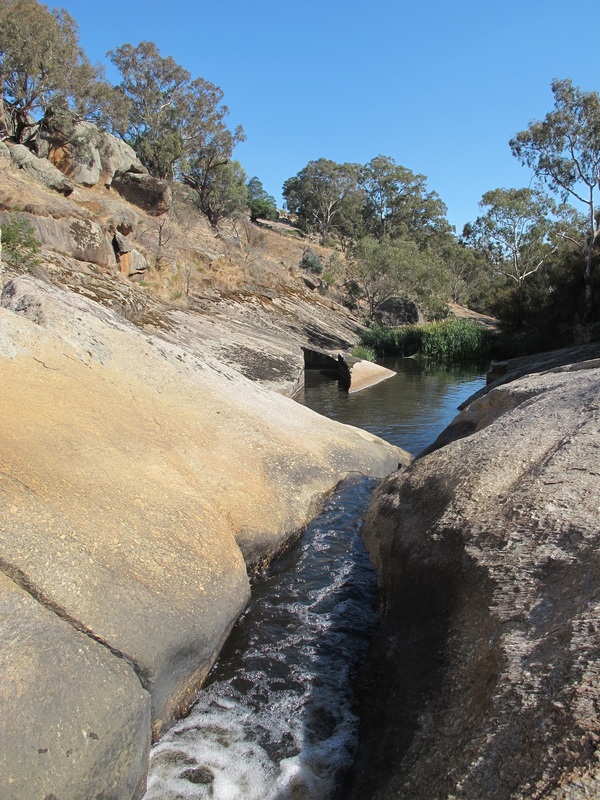 The Seven Creeks at Gooram has similar characteristics . 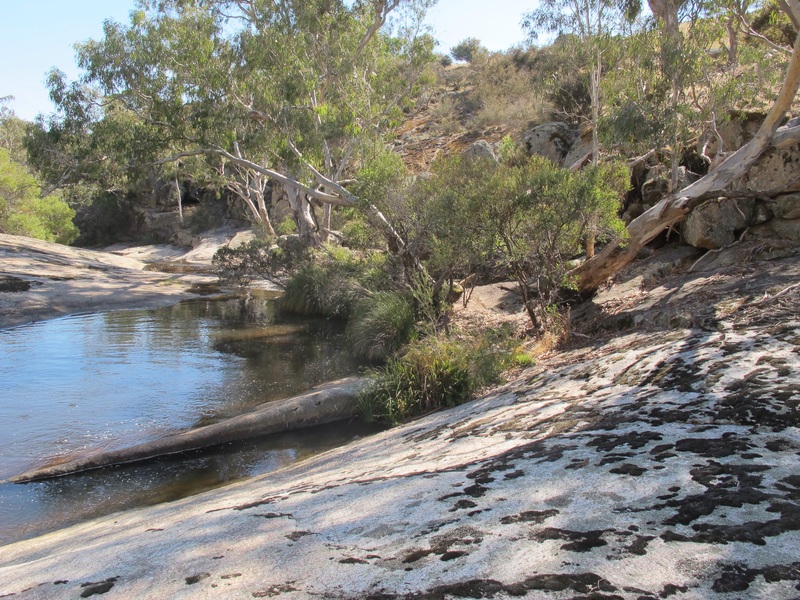 Project Manager, Mark Turner outlined the project at last months Conservation Management Network meeting and Jim Castles will explain more at this months meeting. We hope to be able to add value to their project. 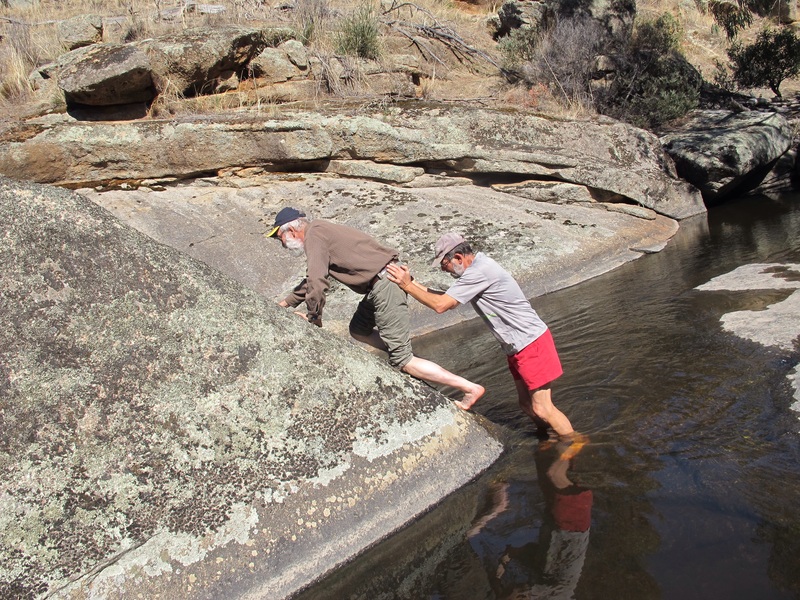 Justus and Erwin scramble onto a boulder in the Hughes Creek. 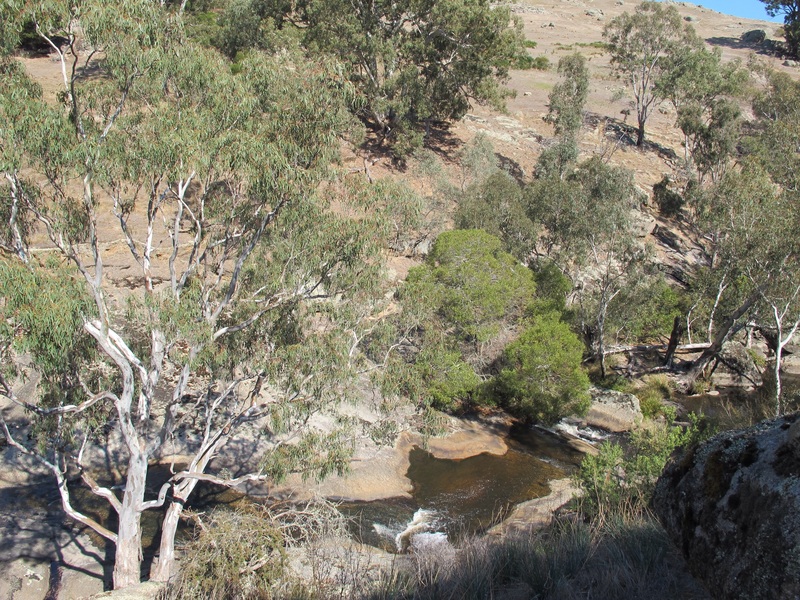 Steep terraces protect this remote location. Next Next post: Beautiful phascogale body found on roadside.